Home » Politics » RS polls: Nomination of CPI(M) candidate stayed. What’s cooking in Bengal? RS polls: Nomination of CPI(M) candidate stayed. What’s cooking in Bengal? EC stays nomination of CPI(M) RS candidate BR Bhattacharya. What’s the inside story? 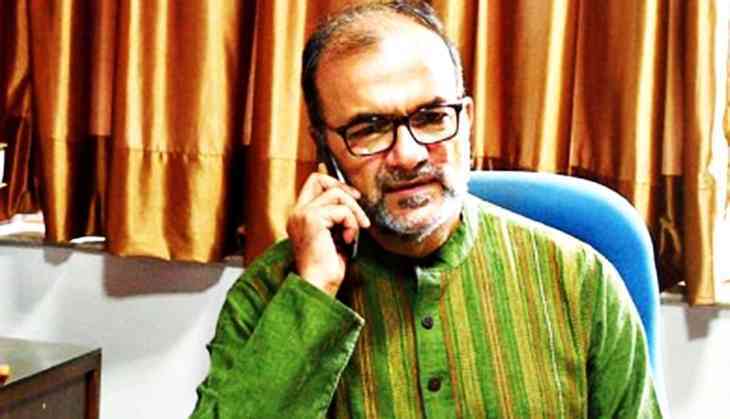 The West Bengal election commission stayed the nomination of CPI(M) candidate for the Rajya Sabha elections Bikash Ranjan Bhattacharya on Saturday. Apparently, there were mistakes in his nomination form. Differences have cropped up in the CPI(M), with some questioning whether Bhattacharya was even serious about contesting. After Mamata Banerjee decided to back Congress candidate Pradip Bhattacharya, the CPI(M) wouldn’t have won anyway. So some leaders feel this is why Bikash Ranjan Bhattacharya made a mistake to avoid a losing contest. “The state committee of CPI(M) had chosen (Bikash Ranjan) Bhattacharya’s name. When his name was finalised, it was learnt that he was not willing to contest the election. This might have led him to commit some mistakes while filing his nomination,” a senior CPI(M) leader said. Meanwhile on Saturday, the Trinamool Congress decided to extend issue-based support to the Congress nationally. However, the West Bengal unit of the Congress said it will continue to oppose TMC. Another section within the CPI(M) are of the opinion that the decision of the Poliburo to not renominate Sitaram Yechury with the Congress’ support irked many party leaders and this incident took place to avoid a contest. A contest would also have harmed the Left’s alliance with the Congress, pushing the latter towards TMC. CPI(M)’s Bhattacharya, however, denied making a mistake “ I have not committed a mistake while filing my nomination. I am waiting for State Election Commission's response. The scrutiny of forms will be conducted on Monday. If the State Election Commission does not allow me to contest, the party has decided to move the Court,” he said. According to Amol Mukherjee, political analyst and former principal of Presidency College, “ It is too early to comment whether Bhattacharya deliberately made a mistake just to avoid a contest, but media reports say that some CPI(M) leaders are upset at the Politburo’s decision not to renominate Yechury”. TWEET THIS CPI(M) makes a mess of RS election. Its nominee allegedly ‘made a mistake’ in his form EC stays nomination of CPI(M) RS candidate BR Bhattacharya. What’s the inside story?